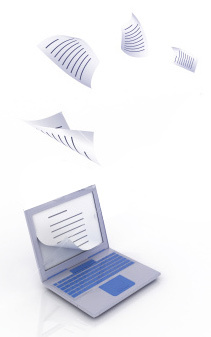 Document digitization is the process of converting paper documents into digital format. Storing paper files can be costly, particularly when offsite storage is required, and offers no return on investment. Digital document storage is far less expensive and the costs can be dispersed directly to your clients. Retrieving paper documents is time consuming and the possibility exists that they can be misplaced. By converting them into digital format they are located quickly and efficiently. Additionally, DVD backups ensure the files will never be lost.